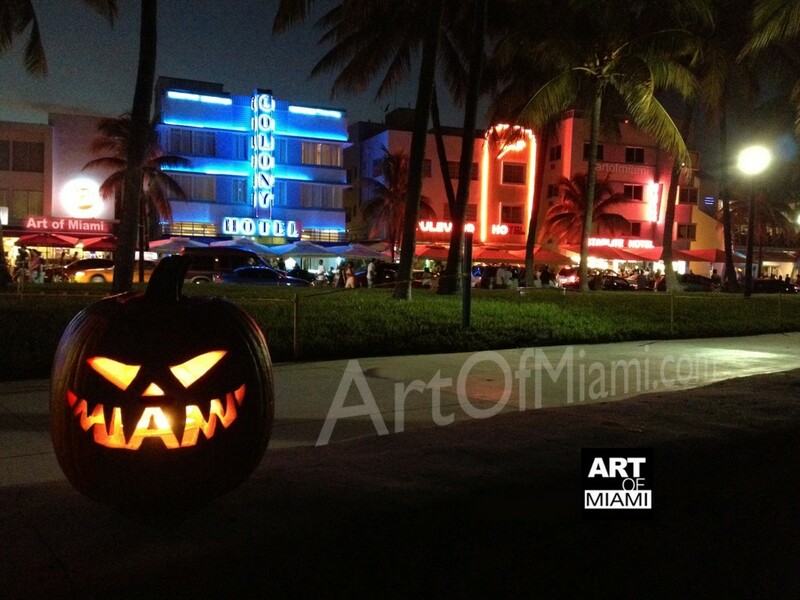 Practiced my pumpkin carving skills for this picture of the Art of Miami Jack-o-Lantern. The autumn rains cleared up just enough allow the iconic South Beach Ocean Drive to serve as the back drop. Wishing you all a Happy October and Fall Season!! T-shirt of The Miami Jack-o-Lantern are available at www.ArtOfMiami.Bigcarte.com Prices and supply is for a limited time.